2017 was another big year for projekt202, as we continued to deliver better digital experiences for our global-brand clients. For the seventh consecutive year, projekt202 was named to the Inc. 5000, Inc. magazine’s annual list of the fastest-growing companies in the United States. For the sixth consecutive year, projekt202 was named to the distinguished Dallas 100 list of fastest-growing companies in Dallas-Fort Worth. projekt202 was honored to make the Top 20 in Tech Titans' 2017 roster of top Fast Tech companies. The annual Fast Tech Awards recognize the fastest-growing technology, media, telecom, life sciences and clean tech companies in the North Texas region. When E2open, the world’s largest Supply Chain Operating Network, needed to deliver an enhanced and more cohesive user experience, it turned to the experts at projekt202. The projekt202 team helped E2open deliver the best possible user experiences to its crucial global audience. This is one of our many client successes in 2017: Read more case studies here. In a 2017 report on customer experience (CX) transformation, Forrester Research notably cited projekt202's process for strengthening Agile-based design and development collaboration. Another Forrester report -- "Customer Empathy: Three Essential Strategies for Cultivating It in Your Organization" -- examined strategies and tactics for successfully building customer empathy. Among the tactics cited in the report was projekt202's work to transform employees into customer surrogates. As Aliza Gold, projekt202's Vice President of Experience Strategy and Insight (ESI), noted, "Savvy CEOs are the ones who recognize that customer experience and having a robust understanding of their customers are number-one priorities. The key driver for turning customers into loyal brand advocates is a genuine understanding of and empathy for their wants, needs and motivations." Analysts at Forrester further highlighted projekt202's persona work with a major auto manufacturer. In its "Persona Pitfalls: Seven Missteps And How To Avoid Them" report, Forrester looked at seven barriers to success with customer personas, along with strategies and best practices for overcoming these hurdles. In a November 2017 interview focusing on business success and risk management, projekt202 CEO David Lancashire discussed fresh opportunities to be found in business challenges, and his advice for entrepreneurs. On adapting and evolving for business success and increased revenue, David said, "We’re learning new things every single day. New information and data may lead us to different conclusions on things that yesterday appeared one way, and today could be very different. It’s important that leaders make decisions based on today’s reality, not yesterday’s, or some perception by their stakeholders that they should keep doing the thing they said they were going to do." 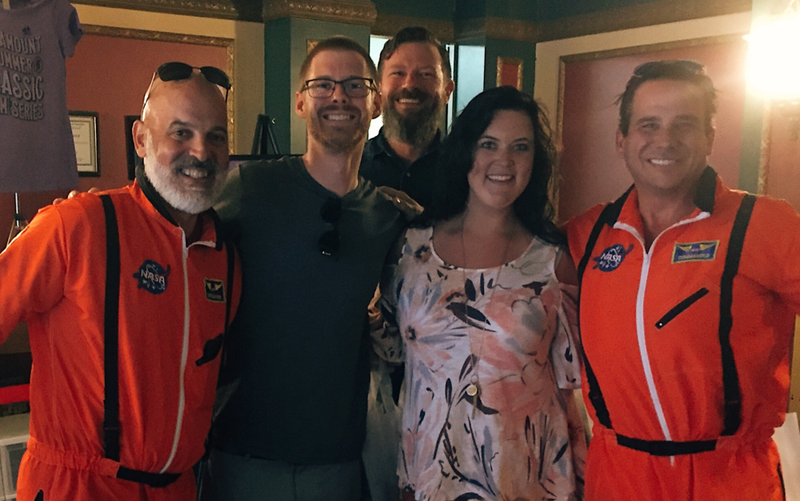 Raising awareness of projekt202 and the value of user experience, Vice President of Customer Experience Jeremy Johnson served as a guest panelist in the premiere of "ProjectUX," the new UX show for startups. In each episode, company founders demonstrated their products and received feedback on potential issues and solutions from a trio of UX experts. Read our Success Stories and watch our Thought Leadership videos for the many ways projekt202 helps companies deliver improved customer experiences. 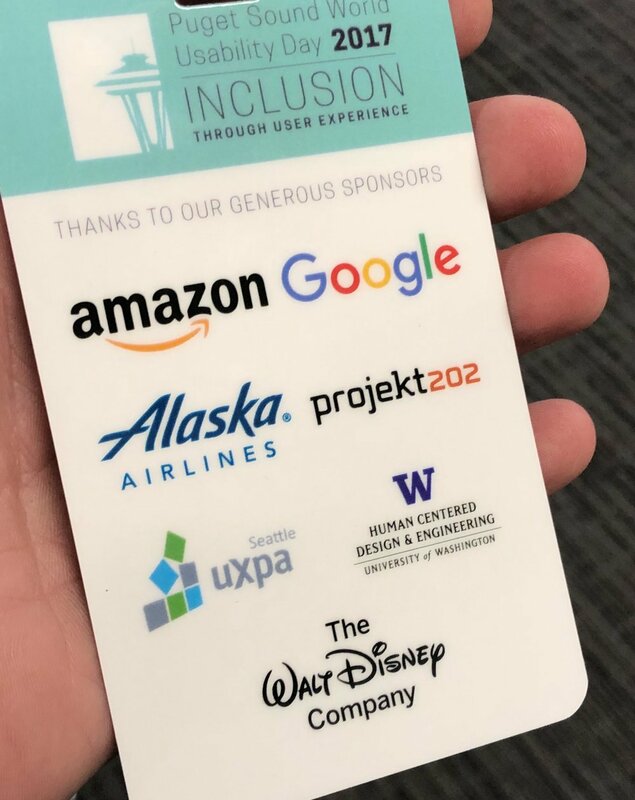 At Puget Sound World Usability Day (WUD) in Seattle (above), projekt202's Aliza Gold and Jeremy Johnson shared UX insights, on a roster of presenters from Alaska Airlines, Amazon, Disney, Facebook, Google, Microsoft, Seattle UXPA, Tableau, Uber and the University of Washington, among many others. projekt202 UX Designer Natalie Schultz worked with Lynda.com to develop two new classes for the UX design course library. In "Learn Sketch: Working With Developers," Natalie provided guidance on ways to streamline design workflow using Sketch to best prepare files for front-end developers. In her second online course, "UX Design Tools: Zeplin," she showed how to build and share up-to-date design specifications using Zeplin and Sketch. projekt202's Anne Grundhoefer (third from left) filming her new course at the Lynda.com studios. projekt202 Senior UX Designer Anne Grundhoefer also shared her expertise with a global audience through a new online user-centered design course. In "Creating a Design System with Sketch," available online via Lynda.com, Anne presented ways to create a design system in Sketch, the leading tool for UX and web design. "Design systems are containers for institutional knowledge. They provide tested and proven solutions to design problems," Anne said. "When these solutions are held together by a consistent visual language and UX guidelines, they represent what good design looks like for the organization or platform." projekt202 Vice President of Talent Management Karen King shared steps for hiring success at the Connect HR Leadership Summit in Las Vegas, the Talent Acquisition Summit in Philadelphia and the HRSouthwest Conference in Fort Worth. In August, projekt202 Co-Founder and Chief Experience Officer Peter Eckert was the keynote speaker at the 11th Annual UT Dallas Project Management Symposium, the premier conference of its kind for organizations and PM professionals in North Texas. Peter's presentation focused on the ways that empathy helps project managers become more powerful PMs, makes projects smoother and more efficient, and creates a greater, more unified sense of teamwork. projekt202 Director of Experience Strategy and Insight Joe Dyer served on AIGA's UX panel at its Fort Worth event. When you have 37 million internal customers, it's vital to deliver engaging new digital experiences as seamlessly and as flawlessly as possible. That's what the projekt202 team did for top credit union service organization PSCU and its national network. projekt202 Senior UX Designer Charlie Trotter showcased the team's work on a national stage at the 2017 NACUSO Network Conference in Orlando. projekt202 was a driving force in the new XD Leadership Alliance. Much more than a business networking group, XD successfully serves as a bold alliance to recognize and connect industry thought leaders in the fields of Design, Technology, Research, Product and Marketing, empowering leaders through cross-functional collaboration. Visit the group's website for videos, presentations and information on joining. projekt202 was a big hit at the Seattle Interactive Conference (SIC) in October (above). More than 4,000 people attended the 2017 industry event -- and it seemed like just as many visited projekt202's busy biz dev lounge. projekt202 also hosted a standing-room-only Customer Touchpoints panel --"Your Experiences are Your Brand: Why All Experience Touchpoints Matter and Why They Must Be Created with All Your Customers in Mind" -- that examined ways to use customer understanding to better meet audiences' needs across any touchpoint. You couldn't miss projekt202 at the 2017 Big Design conference, the annual event for UX and usability professionals, digital marketers, designers, content strategists, and developers. 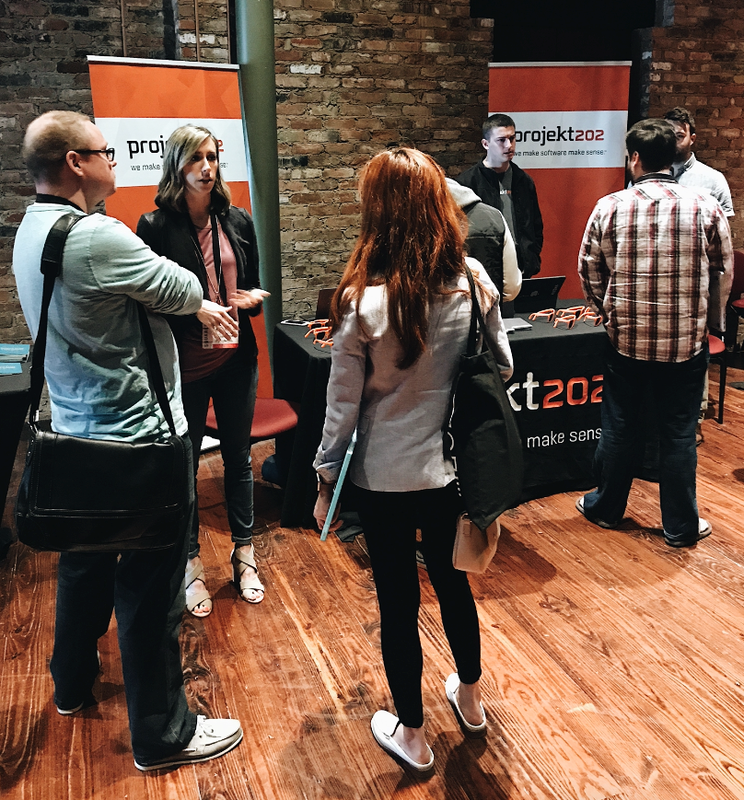 Along with serving as event sponsor, projekt202 was represented by four outstanding speakers -- Kim Harris, Kelly Moran, Jessie Webster and Jeremy Johnson -- covering user experience, UX design and research. 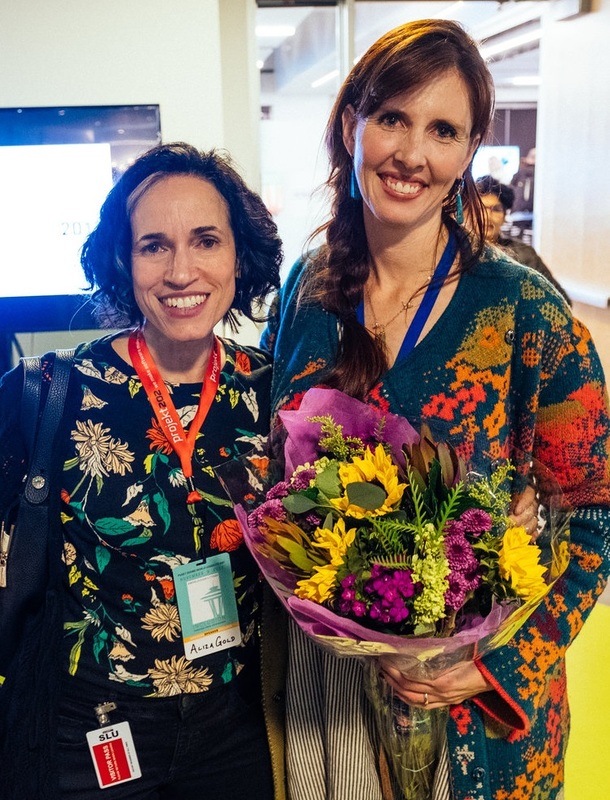 Improving the designer/developer team dynamic was the focus at a Refresh Dallas event, one of many informative presentations given by projekt202 Senior UX Designer Kim Harris in 2017. Kim Harris was also featured in the premiere episode of "Fix My App," previewed during the #BeBoldForChange in Tech event on International Women's Day in March. projekt202's Anne Grundhoefer and Jeremy Johnson took center stage as speakers at the 2017 Squares Conference, the annual design and development event in North Texas. In October, projekt202 hosted "Designing Better, Together," a General Assembly-Austin panel discussion on strategies and considerations to help practitioners ensure their work is better understood and acted on by downstream practices. projekt202 Director of Business Development Toby Hughes joined the advisory council of the SMU Digital Accelerator program, an executive education experience designed to help companies generate ROI through project-based training. 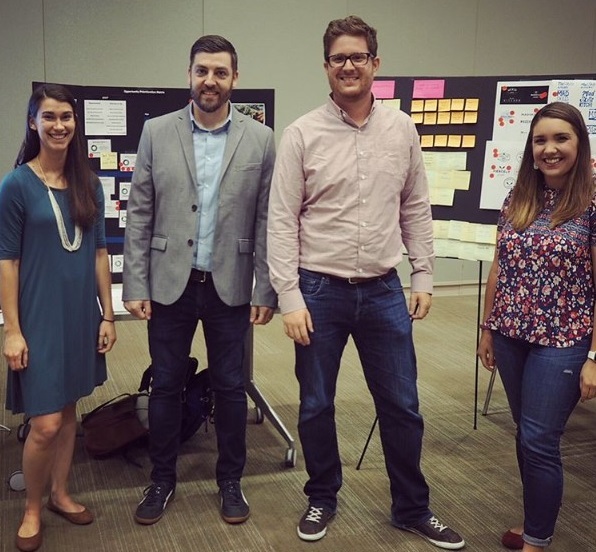 Senior UX Designers Chelsea Maxwell, Lan Nguyen and Daniel Sanchez; UX Designer Lindsey Norman; Talent Coordinator Jessica Hart; and VP of CX Jeremy Johnson guided students through the portfolio design process at a UX Club at UT Dallas event in March. The projekt202 team shared tips and resources for standing out in the UX design field. projekt202 team members and their families pitched in to give back to our communities through volunteer service projects with the Travis County Sheriff's Office Brown Santa program, helping underprivileged children and their families in the Austin area; the American Red Cross; Hope Supply Co.; Youth with Faces, through AdaptivePath.org/Capital One's first BarnRaise community involvement event; Eden's Garden and the North Texas Food Bank; and many other nonprofit organizations. In August, projekt202's resident Superman Daniel Sanchez and friends visited an American Red Cross shelter to bring smiles to families evacuated from Hurricane Harvey. 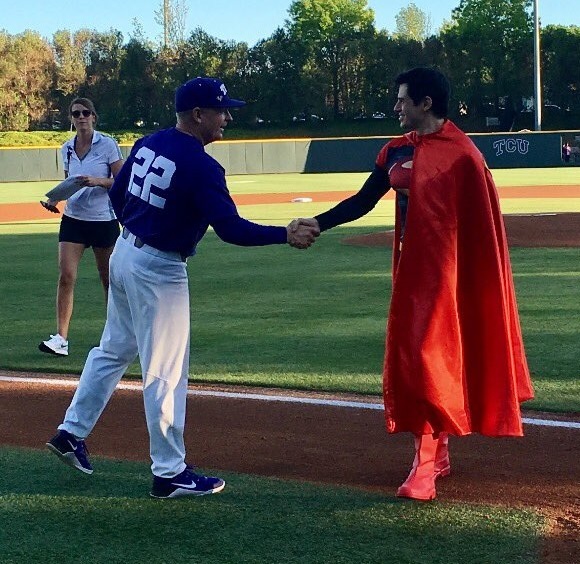 Daniel also pitched in earlier in the year to raise awareness for Heroic Inner Kids; see photos and read the article here. projekt202 also made the scene in 2017 with presentations at CreativeMornings, Ladies that UX, AIGA, the Austin IT Symposium, the University of North Texas, the University of Texas at Dallas, the North Dallas Agile Product Owner Meetup, fresh2design, Austin Recruiter Network, Dallas Ruby Brigade, the North Austin Node Meetup, IoT Central/Austin, Dallas User Experience Group, UXPA and many more. The projekt202 team was proud to have helped design and launch the Apprenti site with the WTIA Workforce Institute to provide women, minorities and veterans with tech apprenticeships. The Apprenti program was nominated in the 2017 Geekwire Awards, honoring excellence in community innovation. Thank you to everyone who was a part of our mission to deliver better software experiences for people everywhere in 2017. To find out how we can help you make software make sense in 2018 and beyond, contact us today. We couldn't list all the amazing news and events that happened in 2017, so visit the projekt202 News & Insights page for more. Don't miss out on everything we've got in store for 2018: Follow us on LinkedIn and Twitter for projekt202 news and events, or Join Us in Austin, Dallas or Seattle.